Lake Geneva's certified and licensed massage therapists and body treatment specialists are the best in the business. We're here to help you relax and regain a sense of calm in your life in the most professional manner. Our massage services are the perfect way to unwind after a day of meetings, ﻿time on the slopes or golf course, or just a relaxing getaway. And there's no better way to rejuvenate your skin than with a facial focused on creating healthy, lasting results. Book your spa treatment today! Your hydration ritual begins with a luxurious scalp treatment. Elements of Swedish modalities will be used to soothe tired muscles. To complete your hydration ritual your hands and feet will be replenished with whipped soufflé lotion. Create a whole body balance with the heat of basalt stones combined with argan oil to cleanse toxins from the body. Argan oil has been shown to fight free radicals in the body. Combined with massage techniques and the heat of the stones, the argan oil is delivered deep into your tissues. Relax with our seasonal FarmHouse Massage. The massage incorporates seasonal ingredients such as agave oil and shea butter. Each product is made with 90-99% natural and naturally-derived ingredients and is free of parabens, sulfates, mineral oil and phthalates. Featured treatments change seasonally. Our Lava Shell massage will connect to the natural energies of the earth. Lava Shells are combined with our custom blend of essential oils to create the ultimate experience. Put away all of life's cares as you surrender to the healing power of massage. Based on Swedish modalities and customized to your needs, this massage will rebalance your body as stresses and tensions are released from both body and mind. This massage uses gentle pressure to aid in relaxation. This will elevate your massage to another level. Specifically targeting tension areas, this massage will penetrate to engage and release deep-seated soreness. This massage uses therapeutic pressure. You and your partner will enjoy customized massages, while experiencing a warm closeness with each other. 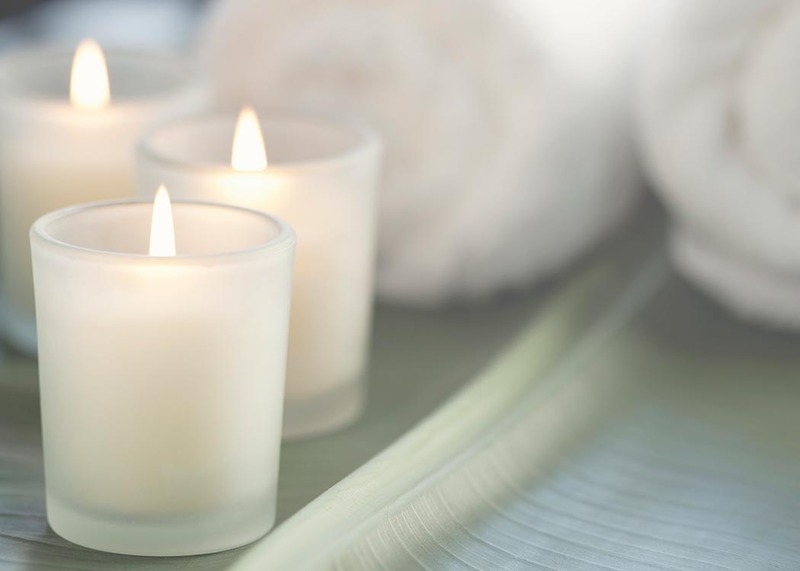 Add aromatherapy to your session to customize the massage even more. Your body’s needs change during pregnancy. Muscles you did not know you had start to ache. Let our unique cushioning techniques and soothing prenatal massage relieve soreness and aid in circulation. Prenatal massage recommended during 2nd and 3rd trimester only, after 36 weeks a doctors note is recommended. When booking your prenatal massage, let the booking agents know how far along you are. We know you're expecting great things, and this service delivers! Celebrate this special time with our soothing couples massage. Enjoy an invigorating full-body exfoliation to stimulate blood flow and moisturize the skin. Our organic sugar scrub is designed for a one-of-a-kind skin renewal treatment. Service is finished with our signature blend moisturizer. Enjoy healthy and clear skin on your back with this refreshing treatment that deep-cleanses and detoxifies. The combination of active ingredients works to minimize pores and clear any imperfections. After just one treatment the skin will look radiant, with a luminous appearance and extra-smooth texture. Enjoy the freshest slice of the season by delighting in a FarmHouse Fresh seasonal body treatment. With decadent ingredients such as cactus juices, warm honey and creamy yogurt, each product is made with 90%-99% natural and naturally derived ingredients and is free of parabens, sulfates, mineral oil and phthalates. Featured treatments change seasonally. Cherry blossom and lotus escape with floral, powdery notes. Embark on a relaxing and enchanting journey with this nourishing body ritual inspired by Japanese tradition. A warmed exfoliating cream with cherry blossom & rice powder is followed by the stimulation of an exfoliating towel to soften skin and invigorate the body. A unique foot massage based on reflexology revives vital energy. Then melted aromatic shea butter is drizzled all over your body and worked into your skin for ultimate hydration and blissful relaxation. This revitalizing treatment begins with a relaxing dry brush exfoliation followed with a rich mud for a nourishing and hydrating skin wrap. Enjoy a scalp massage and finish with our signature blend moisturizer. Be revitalized, refreshed and relaxed by this luxurious journey that is inspired by a traditional Moroccan ritual. Your journey begins with the detoxifying and invigorating benefits of a full-body dry brush exfoliation. Once the skin is cleansed and revitalized, your body is painted with Moroccanoil Intense Hydrating Treatment. Our Body Buff is used to gently exfoliate and soften your skin, then Body soufflé is applied with relaxing, therapeutic hot stones. The journey concludes with Moroccanoil Scalp Treatment. Choose an essential oil blend that is customized to alleviate and maintain your level of wellness. Awaken your skin! 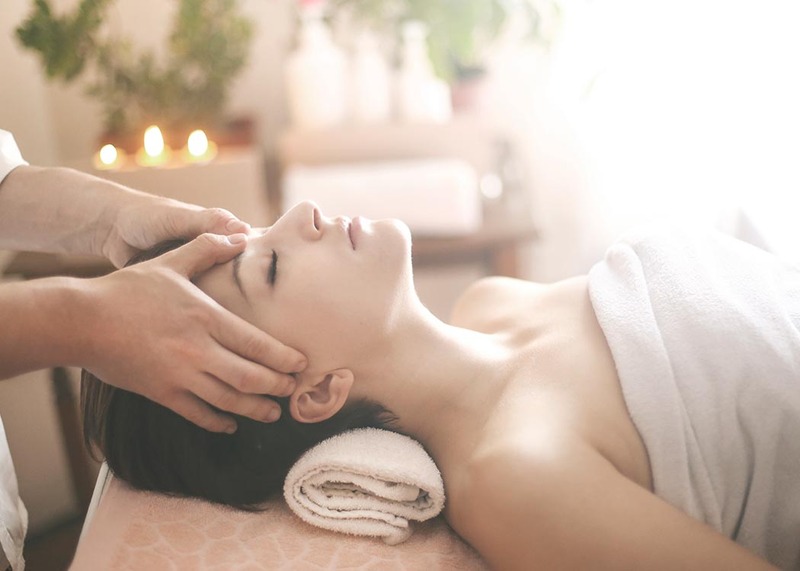 Our facial involves an exfoliating, moisturizing treatment selected for your skin type, producing a radiant complexion. You will feel refreshed. Ideal for those on the run, this facial focuses on the cleansing aspects of the WELL Sp Customized Facial. (Extractions are not included). This refreshing and anti-aging eye treatment is perfect for everyone. Unique porcelain spoons are chilled and used to drain and address puffiness and dark circles. A relaxing eye massage with vitamin and hyaluronic enriched eye cream is followed by a cooled tensor gel mask and eye-smoothing patch for instant lifting and firming. Your eyes will sparkle with brightness and youth. A totally energizing facial that uses the power of volcanic rock for its rich magnesium content to boost and detoxify a man's skin. This treatment combines relaxation and efficiency for more resilient skin and a flawless complexion. Designed for the treatment of oily, problematic and blemished skin. Concentrated formulas offer multi-benefits to absorb oil, reduce impurities, exfoliate, soothe and balance the skin. This facial treatment is unparalleled in its ability to delight and repair. An eye-contour treatment and provide anti-aging mask provides a progressive rebuilding of the epidermis and a complete sense of renewal. Celebrate a new you by delighting in a FarmHouse Fresh seasonal facial. With decadent, results-oriented ingredients such as resveratrol from Texas winery grapes, botanical milks, rich muds and firming peptides, each product is made with 90-99% natural and naturally-derived ingredients and is free of parabens, sulfates, mineral oil and phthalates. Featured treatments change seasonally. This patented, age-reversal, cosmeceutical program is the first to address the "real age" of the skin with targeted solutions. This customized anti-aging facial packs a powerful punch of peptides, antioxidants, firming collagen and hyaluronic filling agents. A mineral microdermabrasion of volcanic rock and salicylic acid will prepare the skin to receive the "injection-like" effects of our wrinkle filling serums. Continue with a facial massage with our patented elasticity revealer, followed by a collagen lifting mask to plump and repair the skin. The results - look years younger. A professional treatment that delivers a dual approach to hydration leaving skin nourished and supple. Because hydration is essential to the skin, Sothys has created this solution for restoring the skin's capacity to self-hydrate. The customized facial works to exfoliate, rehydrate, regenerate, plump and rebalance the skin. Melt away tension and fatigue with this unique therapeutic treatment. The combination of volcanic mud, smooth stones and purifying facial treatment will brighten complexion, stimulate circulation, provide anti-aging benefits and eliminate toxins. This intensive treatment with Siberian ginseng envelops the skin in a wave of light to reveal its youthfulness. Following a thorough cleanse and enzymatic exfoliating scrub with pineapple extract, a specific digi-energy massage stimulates the flow of chi. A deeply relaxing massage then prepares for a boost of vitality combining layers of frothy hyaluronic acid and a peel-off vitamin C mask. To complete this one-of-a-kind facial, the enlightening fluid brings instant lifting and smoothing results. Your skin and soul are energized for complete wellness. Sun exposure, acne and aging can leave your skin tone uneven, wrinkled, spotted or scarred. Treat your skin to a younger and smoother look with a revitalizing chemical peel. This treatment uses a safe chemical solution to smooth the texture of your skin by removing the damaged outer layers. Available to add in to any facial 50 minutes or longer. Aesthetician will help you to choose the treatment that is most suitable for your skin condition. Looking for Manicures and Pedicures or hair and makeup? Visit Salon Services.